Oxygen is a chemical element with symbol O and atomic number 8. It is a member of the chalcogen group on the periodic table and is a highly reactive nonmetal and oxidizing agent that readily forms oxides with most elements as well as other compounds. By mass, oxygen is the third-most abundant element in the universe, after hydrogen and helium. At standard temperature and pressure, two atoms of the element bind to form di-oxygen, a colorless and odorless diatomic gas with the formula O2. This is an important part of the atmosphere and diatomic oxygen gas constitutes 20.8% of the Earth's atmosphere. We have Oxygen in Following Purities ASGT 99.9% ASGT 99.999% The two main uses of Oxygen Gas are for Medical and Industrial. a) Medical: Uptake of O2 from the air is the essential purpose of respiration, so oxygen supplementation is used in medicine. Treatment not only increases oxygen levels in the patient's blood, but has the secondary effect of decreasing resistance to blood flow in many types of diseased lungs, easing work load on the heart. b) Industrial Smelting of iron ore into steel consumes 55% of commercially produced oxygen. In this process, O2 is injected through a high-pressure lance into molten iron, which removes sulfur impurities and excess carbon as the respective oxides, SO2 and CO2. Another 25% of commercially produced oxygen is used by the chemical industry. Most of the remaining 20% of commercially produced oxygen is used in medical applications, metal cutting and welding, as an oxidizer in rocket fuel, and in water treatment. Oxygen is used in oxyacetylene welding burning acetylene with O2 to produce a very hot flame. In this process, metal up to 60 cm (24 in) thick is first heated with a small oxy-acetylene flame and then quickly cut by a large stream of O2. ASTEC S3 ASGT is Pioneer in Manufacturing of ASTEC S3 gas which is used for MIG/MAG of Stinless Steel. It is composition of Argon, Helium and CO2 Gas in a specific Ratio. Argon + Hydrogen Argon mixture with hydrogen is exclusively used for welding austenitic steel by applying TIG method. When using this gas mixture, welding is faster and metal is less deformed and deeper welded. Mixture Ratios 97% Argon + 3% Hydrogen 95% Argon + 5% Hydrogen 92% Argon + 8% Hydrogen 90% Argon + 10% hydrogen ASGT (Ankur Speciality Gases & Technologies) is Pioneer in Filling theese type of Shielding Gases for SS Welding. Available Cylinder Sizes are 47 Liter(7M3) and 68 Liter(10 M3) We also can Provide the same cylinders in 200 Bar Working Pressure. 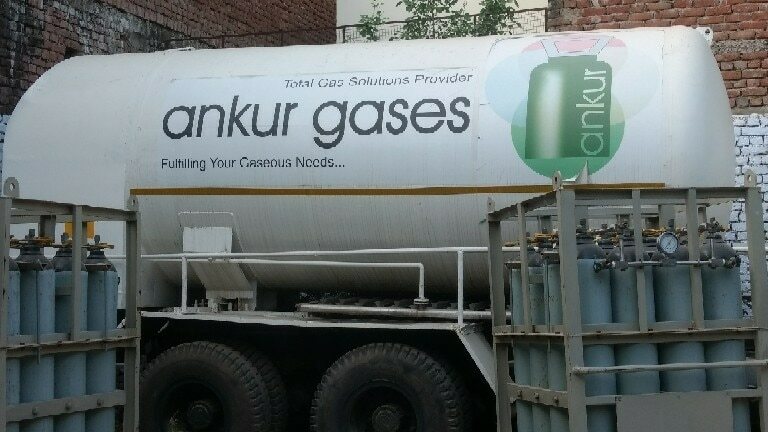 We the leading industrial and Speciality Gases supplier in Rajasthan.